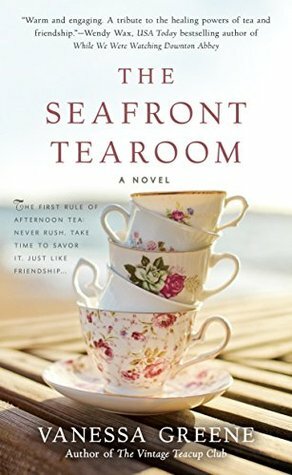 My take: The Seafront Tearoom is a novel of friendship between three young women who meet when one is assigned to write an article about tearooms in the area of Scarborough. Each woman has a bit of drama going on that the others will become her support in getting through. Charlotte the writer is in a bit of a pickle in that her sister really needs her help but she needs to get the magazine article in by deadline. Kat, single mom to toddler Leo, is a tea aficionado. Her dilemma is that Leo’s absentee father is trying to restart their relationship much to her dismay. Sérephine is an au pair who has a secret that she doesn’t feel can be shared with her loved ones. So there’s the drama. I thought this novel was a nice, easy read that showed how people can help each other through difficult circumstances even when they’ve just met. There were a couple of surprising plot turns near the end that some readers might find too convenient. I just went with it. It was the right novel at the right time, you know? Included at the end are a few recipes and a reader’s discussion guide.